The Round Mountain Group offers our premium hosting service exclusively to our website clients. Most other design firms put your site on discount hosting providers like GoDaddy along with thousands or even millions of other businesses. Think you’ll get personal attention from a hosting company with a million customers? What’s worse is that on discount or “free” hosts you might be sharing space with unsavory players. If they are blocked or blacklisted – your site goes down too. And good luck getting help to fix it. Our infrastructure uses high end building blocks that individual small or medium sized businesses don’t need and couldn’t afford. Then we carefully parcel it out among our clients. Here’s an analogy: the shared hosting most sites end up on is like flying coach, elbow to elbow, in a 747. If someone sneezes, everyone catches a cold. When an inconsiderate passenger blocks the aisle, everybody is delayed. On the other hand, The Round Mountain Group’s hosting is like soaring above the clouds in a Gulfstream with a few carefully selected friends. Unlike almost every other hosting company, we put our live, realtime performance data online – where you can see it – 24 hours a day! 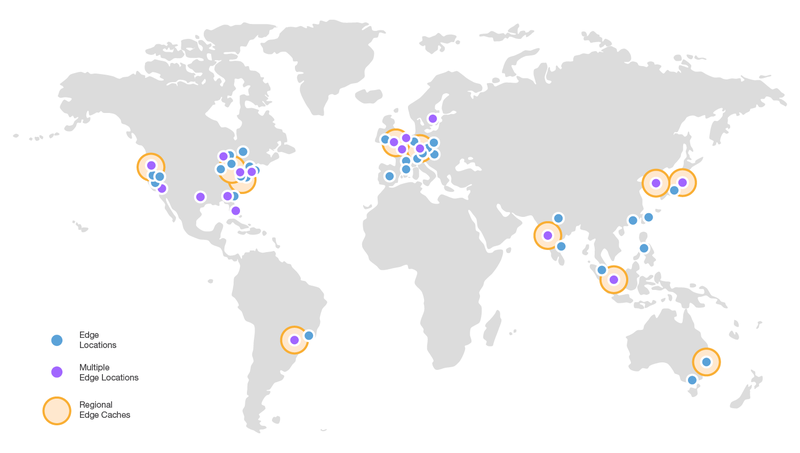 Our powerful, multicore servers are located in premier Tier-3 co-location data centers in New York City, Atlanta and Northern Virginia. They provide the same level of fast connections and high security that you would expect to find with major banking and financial institutions as well as fire suppression systems, backup power and redundant network links. We use a thirteen node Anycast based DNS network to improve reliability and offer optional fail safe capabilities. We deliver your website to your customers over a cloud based Content Delivery Network (CDN) which utilizes over 100 sets of powerful “edge servers” distributed around the world to reduce latency delays. We defend your site with firewalls to protect against Denial of Service (DOS) attacks and a stringent set of protocols for analyzing log files and investigating suspicious activity. Monitoring appliances test every node of our network twice a minute to gather performance data and detect problems. Our team is notified within 30 seconds of any failure, anywhere in our network. With years of experience designing production systems for the telecommunications industry our level of expertise in network and systems management is unparalleled. The Round Mountain Group web platform is built on industry leading, off the shelf products and services from best in class vendors such as the UK2 Group and Amazon Web Services. We are constantly reviewing performance, testing new ideas and incorporating the newest technology in our solution stack. Our goal is continuous improvement. With the most stable and widely deployed operating systems available and careful monitoring of day to day operations we assure high quality service to every individual hosting account. Our hosting offering includes unlimited E-mail forwarding services or integration with corporate email servers. The Round Mountain Group provides FULL support to all our client sites – including WordPress core software updates, plugin updates, security patches, backups and real time monitoring of performance. We review and respond to every security alert and every error report. We are able to do this only because we have engineered a common backend environment for every site. We also offer affordable plans to keep your site content up to date or help you perform this task. None of our competitors even come close to offering this level of support. Our design studio and offices are located right in Hunterdon County with redundant internet and phone connections to two providers (including one 300 Mb/s link.) We maintain local Windows, Mac, Linux, IOS and Android devices for testing and development purposes. We are on call 24x7 to address critical problems. Learn More About Our Hosting and Support Capabilities!